The Commission's decision kills the North Pacific Paper Company, which filed a complaint last year, arguing that dumped and subsidized imports of uncoated pulpwood paper from Canada weighed on prices and reduced profitability. Norpac was the only manufacturer to file a complaint. The rest of the industry has blamed the declining print newspaper business for its struggles, not Canada. The situation pushed Norpac and its owner, private equity firm One Rock Capital Partners, into the limelight as the newspapers complained that their costs were rising as a result of tariffs. 6, according to people in the paper industry, probably bought a premium for the business in the hope that it could argue for the tariffs and the company's revenue to increase. Now the bet seems to be lost. "We are very disappointed with the USITC's negative decision as the records clearly show that domestic industry has been significantly damaged by dumped and subsidized imports from Canada," said Craig Anneberg, Norpac's CEO. "We intend to review the written determination of the USITC when it is published in a few weeks, and we will review our options at this point." The verdict was welcomed by Canadian manufacturer Catalyst Paper Corporation, which had exported more than 425,000 tonnes of newsprint to the United States before being awarded the heaviest royalties. "Our industry continues to be in a challenging environment due to rising costs and falling demand," said Catalyst President Ned Dwyer, a statement said. "Today's decision is a welcome change for Catalyst, our customers, employees and the communities in which we operate." 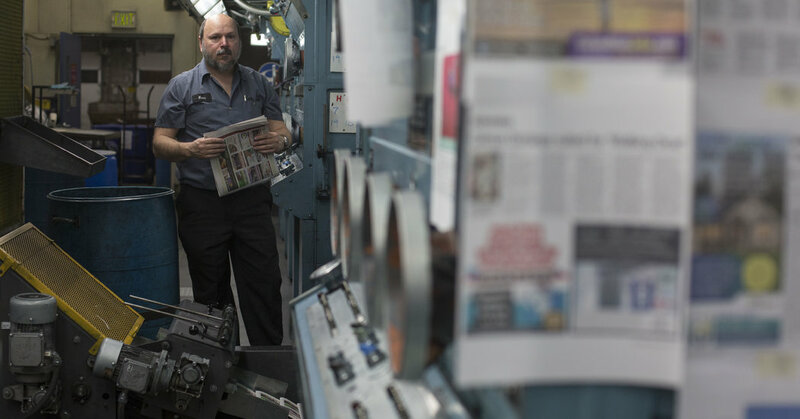 While the tariff decision pampers newspapers, publishers say it will not result in jobs being returned or pages restored. Instead, it has probably only led to an accelerated cost reduction that would have taken place in the face of declining readership and industry revenues anyway.